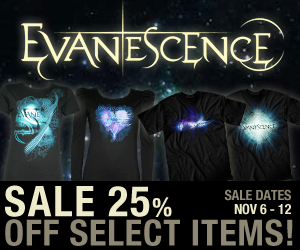 Get 25% Off Evanescence Merchandise! Ready for some early holiday shopping? Or even better, just want some new Evanescence gear for yourself? Check out the 25% off sale in the Ev storeHERE!